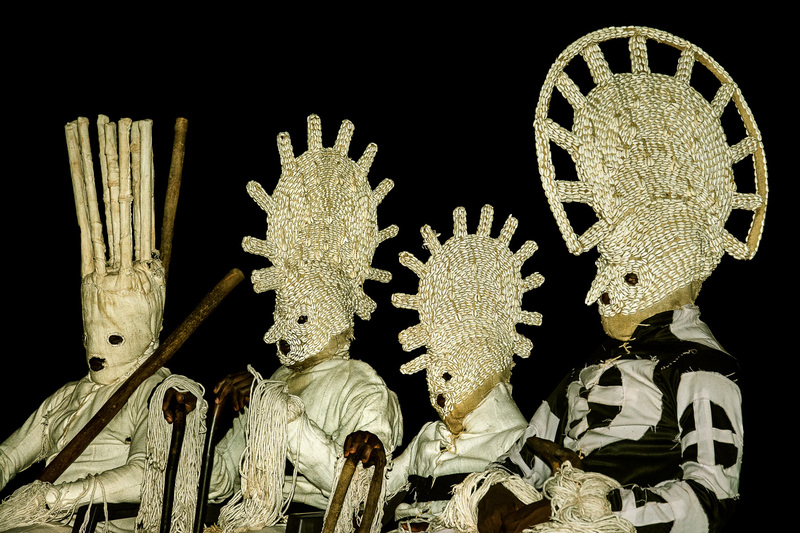 Lunar masks appear in painted textile bodysuits, some with rope-fringed headdresses and others with elaborate cowrie-shell-studded headpieces. The cowrie shell is a powerful symbol of female fertility. These masks come out in April at the time of the new moon to thank the gods for the fertility of young women.